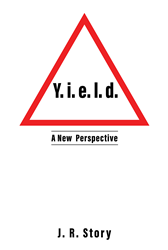 First-time author J.R. Storey helps readers move forward in their walk with the Lord through her new book, Y.i.e.l.d. a New Perspective ($9.99, paperback, 9781545661048; $4.99, e-book, 9781545661055). The book is ideal for new Christians, or for those wishing to grow closer to their Savior. Part of the Christian walk is acknowledging that God is in control, but it is often difficult to pry our own fingers from the steering wheel. Storey makes it practical by providing real life examples and techniques that are easy to use. “Yielding is a process and this process is outlined in five simple steps,” said Storey. J.R. Storey is a student of the school of life and, through this book, hopes to share some of the lessons she’s learned. Xulon Press, a division of Salem Media Group, is the world’s largest Christian self-publisher, with more than 12,000 titles published to date.Y.i.e.l.d a New Perspective is available online through xulonpress.com/bookstore, amazon.com, and barnesandnoble.com.